To place an order, click on any music labels categories or use the search option. Then click on any song page for information. Look for add to your cart button, check out. If you don't receive a email with a download link. Check your email spam. BUY ANY 5 SONGS AND GET 2 FREE. MUST PURCHASE ALL 5 SONGS IN ONE ORDER. EMAIL ME THE 2 FREE SONGS YOU LIKE TO RECEIVE. In triute to 2 legends of soul, Aretha Franklin recorded it in 1967, Otis Redding wrote and recorded it in 1965. We have some of the best music that was ever produce. We keep adding more sound clips for your viewing needs. Check out the Featured Music page for the a latest songs added. Since the early 1950’s, when Callers began using recorded music in preference to a live band, there have been hundreds of record companies which produced specialised instrumentals for Square (Round, Contra, Clogging, and Singles) Dancing. Some of these producers were large, and produced a multitude of high quality vinyl recordings over many decades. While other smaller producers, released fewer, (but still) quality recordings. During the early years of canned music, dance instrumentals would be professionally recorded by a band, or orchestra in a recording studio, using multi-track tape recorders. By recording with real musicians in session, the completed product had a different character, and feel to instrumentals produced in later years, which employed modern electronic instruments, and in some cases, computer-generated music. This modern technique is more convenient, and significantly cheaper than that of engaging a live band, and hiring a recording studio. In the beginning, Callers purchased music on 10” Bakelite discs, which played on a record turntable at 78 rpm – the discs were heavy, and very fragile. As technology improved, music became available on 7” vinyl discs, most of which played at 45 rpm (a small number played at 33 rpm). Now of course our music is available on-line as Mp3 digital files, and is played using a computer (or iPad, mobile phone, etc.). Do you realise that it doesn’t matter how many Mp3 files you load onto your computer, it doesn’t get any heavier :) :) Certainly a far-cry from the days when I used the heavy 10” 78 rpm discs..!! Most of the record companies which produced these wonderful instrumentals over the years, have since disappeared, or gone into hibernation. On this site you will find links to a large volume of this original material. The owners of this web-site have received authority from these companies to re-release recorded material, or have purchased stock, and rights to the recorded work. We are dedicated to the preservation of our wonderful musical heritage, and where possible, intend to continue making this amazing resource available to our modern Callers, Cuers, and Prompters. Stay Up To Date With Our Newest Releases! Stay up to date with our monthly newsletter emailed directly to you. It’s the best way to keep current with new music. Sign up today. Please buy our music from them. There are only a few records shops still around. Seasons Change & So Should Your Music! Planned ahead & get your holiday music today. This is my favorite fiddle tune. Clarence Gatemouth Brown does a super job playing this hoedown. I sent Brad Edwards a copy of this song & ask him to record this song for me. Brad done all the music for the 4-bar-B, Quadrille, Cardinal label. You can find this song on the Pioneer & Square Tunes label. We will still continue producing his music. 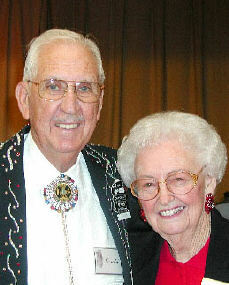 Gerald began calling in 1948, and the following year began calling regularly for Silver Spurs of Oklahoma City, which he continued to do until his death on January 27, 2013. 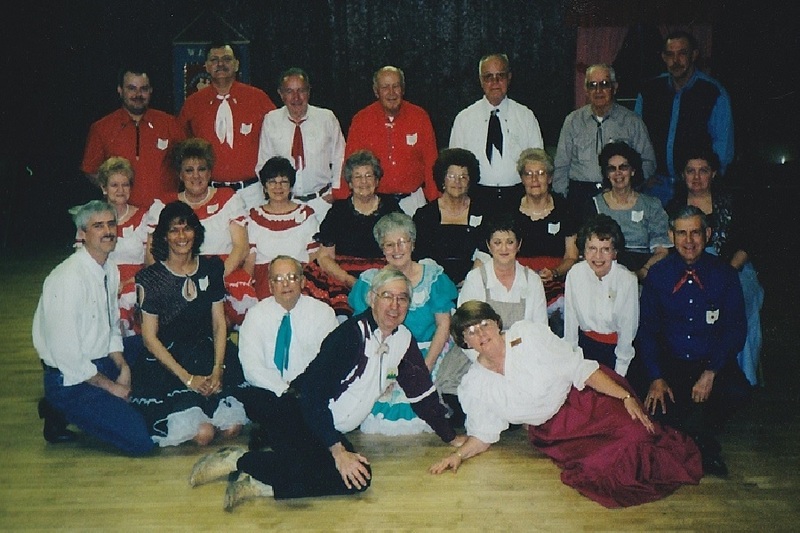 Gerald certainly made his mark in history by being entered in the Guinness Book of World Records as the longest original caller for a square dance club. He has also called for numerous other clubs both within and outside Central District, and in addition to Silver Spurs, Gerald called regularly for the Advancers (A1 & A2 level), and a C level group. 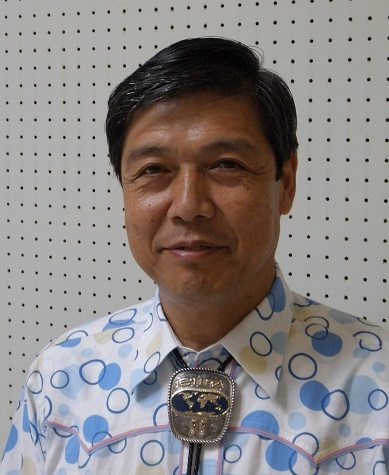 Gerald appeared on the program of many Central District and State functions, and served two terms as President of the Central District Callers Association. He served for many years as a staff member and director of Camp Clearfork, and was also a member of Callerlab. Gerald and Sally owned and operated the J & M Roofing & Supply Co. (founded in 1957) and Gerald created the record label The Roofers as well as Cimarron.